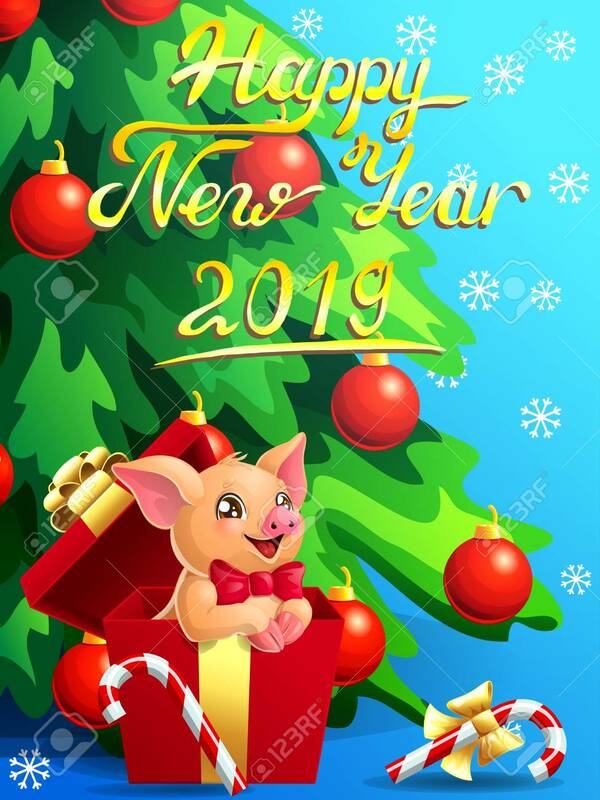 Gift Card With A Lovely Cute Yellow Little Pig With Red Bow In Box, A Fir-tree, A Candy Cane And An Inscription Of Happy New Year 2019 On Blue. A Vector Illustration In Cartoon 3d Style, Vertical Клипарты, векторы, и Набор Иллюстраций Без Оплаты Отчислений. Image 109756071.